Google, Apple CEOs Holding Secret Peace Talks? (Newser) – While the smartphone patent wars rage on, the CEOs of Apple and Google have been quietly communicating with each other in an attempt to resolve a range of intellectual property issues, sources tell Reuters. Apple's Tim Cook and Google's Larry Page had a phone conversation last week and may have another planned for sometime in the next few weeks; lower-level execs are also holding talks. What's the desired outcome? A "truce," potentially, reports Reuters, one that would put an end to the disputes over Android's features and functions —though it remains to be seen whether such a truce would be all-encompassing or just apply to a limited set of patent issues. 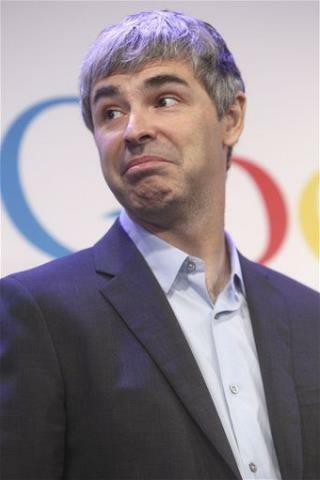 Obviously apple is scared because Google has all the Motorola patents which can lose apple a lot of products in the US. If apple wasn't scared, they wouldn't have a need for peace talks, they'd just sue like they do everyone else.